Almost no effort compared to the flavor on the plate. 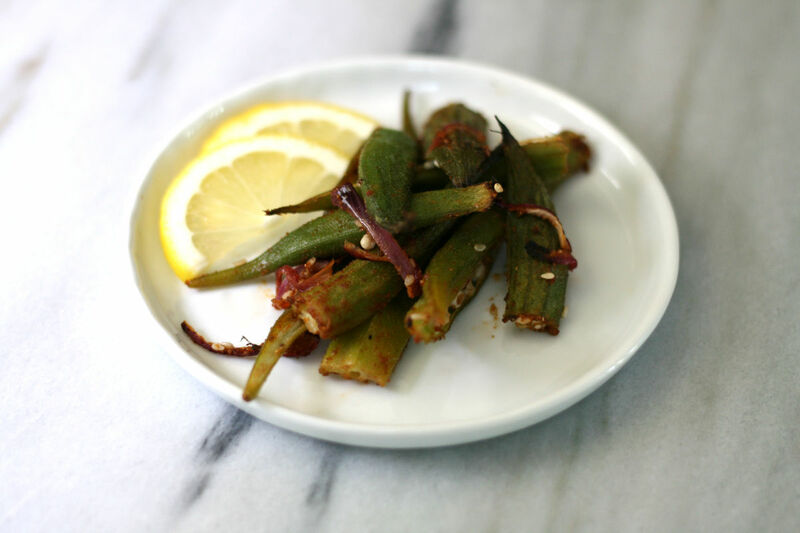 If you do not like okra because of its texture, then you may want to give this recipe a chance. This is a tangy, healthy, no slime take on the famous Indian recipe, Bhindi Masala. This lighter version makes for a perfect snack or an appetizer. At home, we sometimes use it as a perfect taco filling! 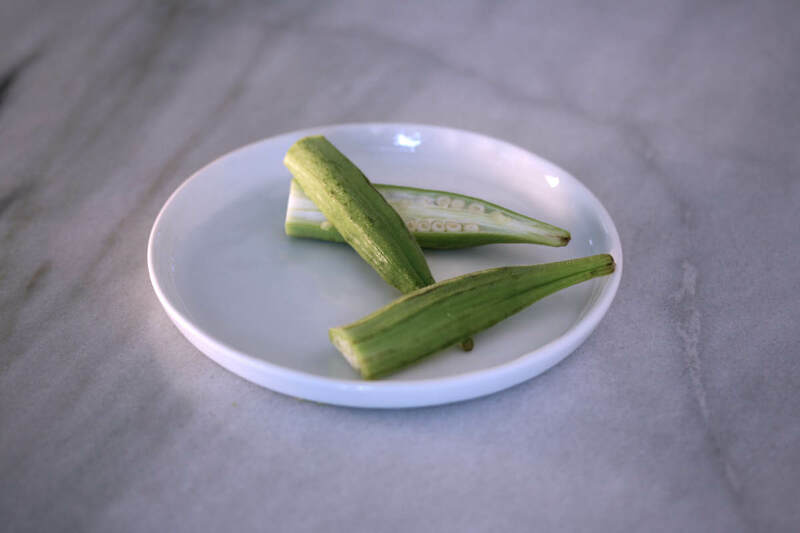 After washing the okra, pat dry it with a paper towel or a napkin. Trim the stems and slice the okra as shown below. Optionally, remove the seeds. Thinly slice the onions. Toss both the vegetables in avocado oil, so the oil evenly coats the vegetables. Sprinkle the spices and the salt, while tossing the vegetables. In a 400F pre-heated convection oven, place the sheet pan in the middle rack. Convection ovens, because of the air flow, evenly roast vegetables with crispier edges. If you do not have access to a convection oven, roast at 425F. On a parchment lined sheet pan, evenly spread the spiced vegetables in a thin layer. Roast the vegetables for 18-20 minutes. Serve hot with sliced lemons. If the recipe is prepared as-is, it is not (spicy) hot; To up the heat, please add more paprika or cayenne pepper. For crispier results, spread the okra out on the sheet pan.